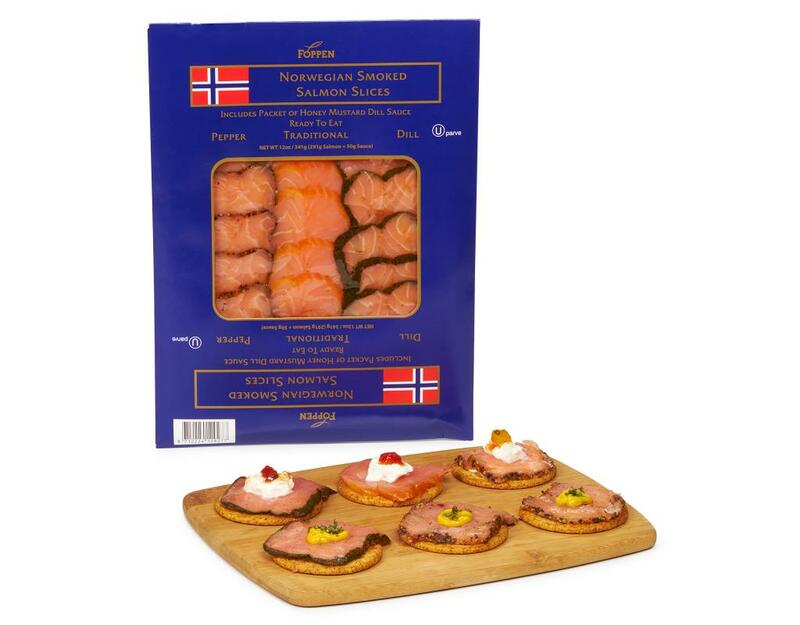 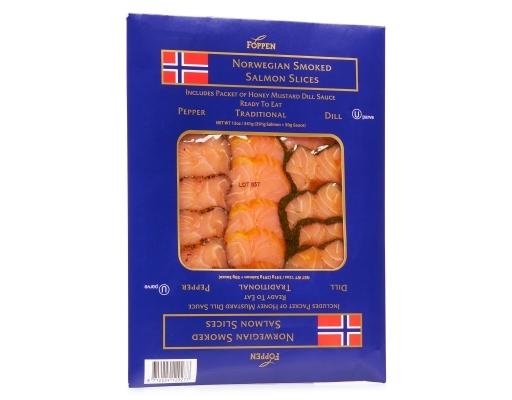 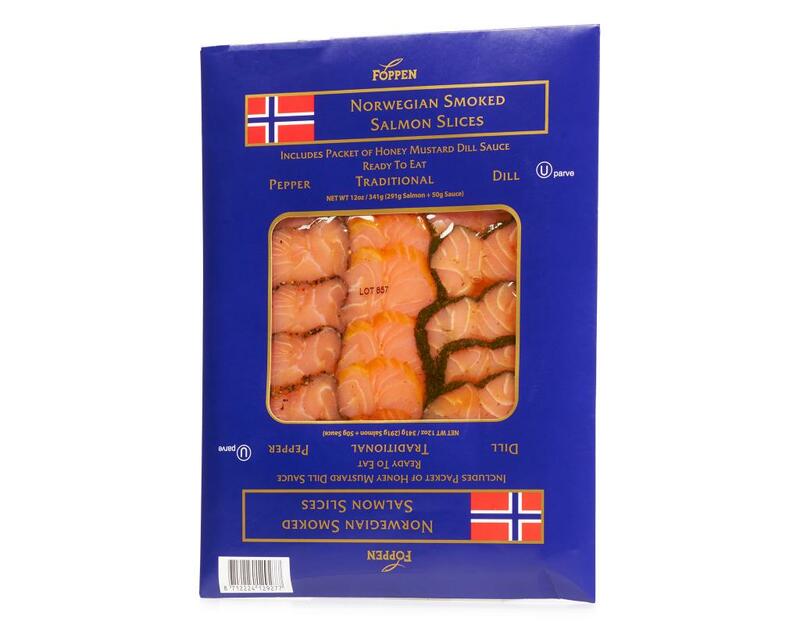 Experience the mouth-watering taste of Norwegian smoked salmon slices. Foppen salmon is raised in well established fish farms in the cold waters of Norway. 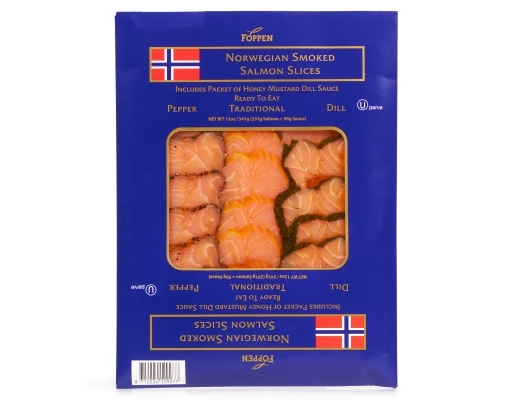 This product is created by smoking the salmon with oak and beech wood. It is then sliced into individual portions and placed on a tray. 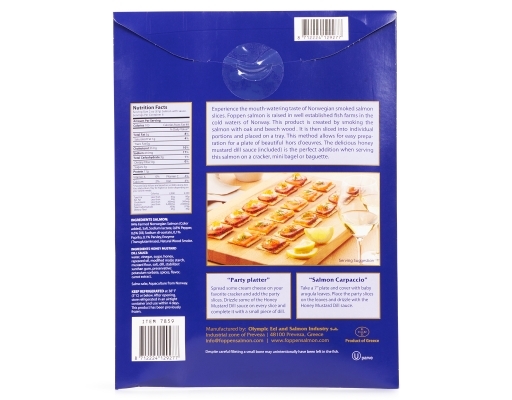 This method allows for easy preparation for a plate of beautiful hors d'oeuvres. The delicious honey mustard dill sauce (included) is the perfect addition when serving this salmon on a cracker, mini bagel or baguette. 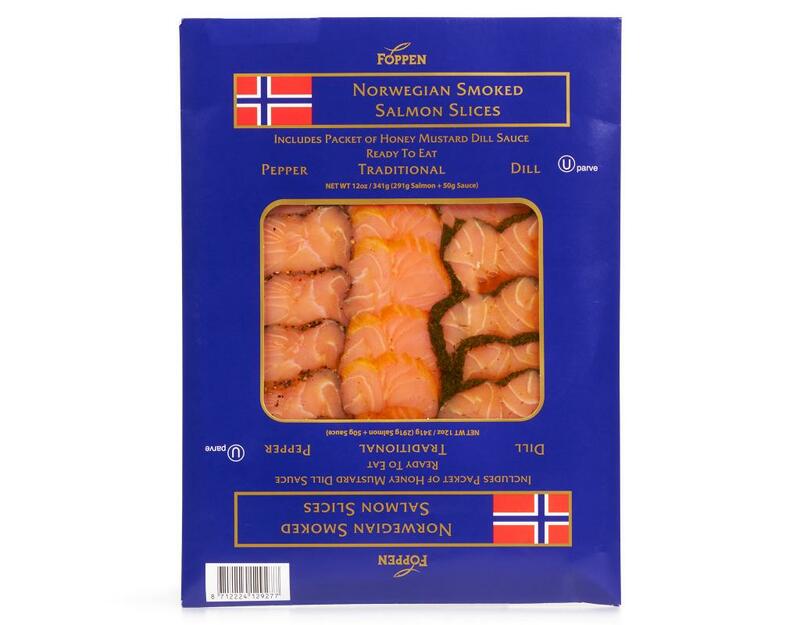 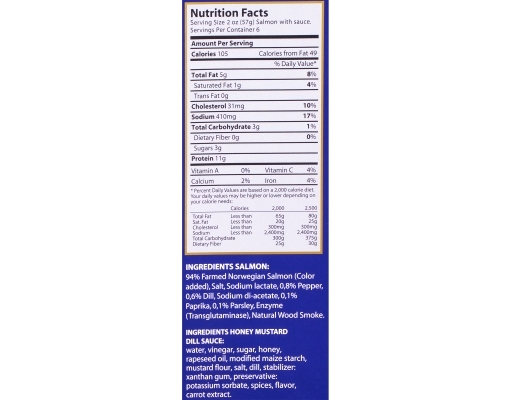 Salmon: 94% Farmed Norwegian Salmon (Color added), Salt, Sodium lactate, 0.8% Pepper, 0.6% Dill, Sodium di-acetate, 0.1% Paprika, 0.1% Parsley, Enzyme (Transglutaminase), Natural Wood Smoke. 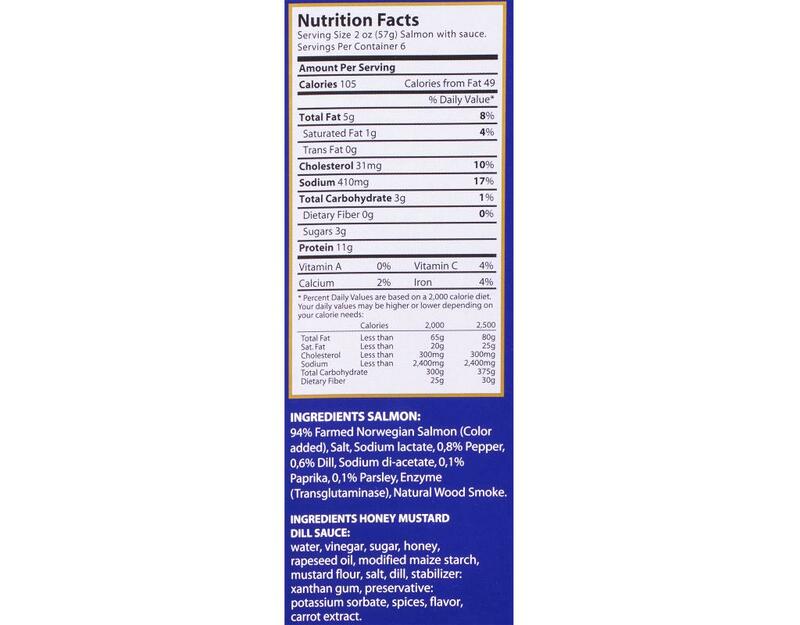 Honey Mustard Dill Sauce: water, vinegar, sugar, honey, rapeseed oil, modifed maize starch, mustard flour, salt, dill, sabilizer: xantham gum, preservative: potassium sorbate, spices, flavor, carrot extract.